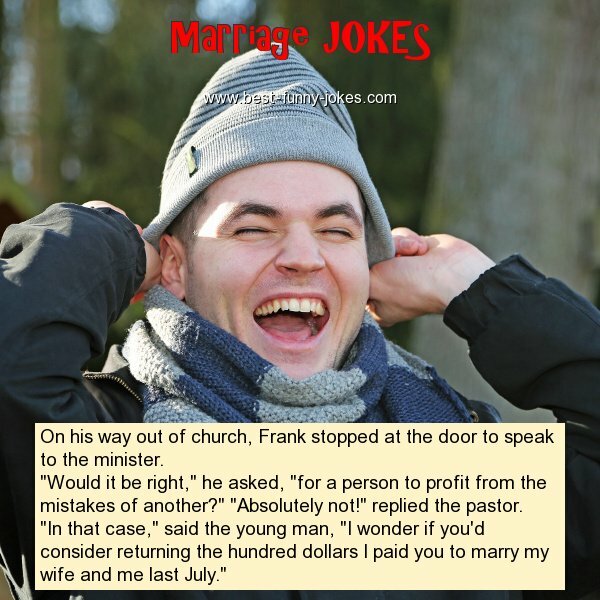 On his way out of church, Frank stopped at the door to speak to the minister. "Would it be right," he asked, "for a person to profit from the mistakes of another?" "Absolutely not!" replied the pastor. "In that case," said the young man, "I wonder if you'd consider returning the hundred dollars I paid you to marry my wife and me last July."